An ideal practice harp for pedal harpists. 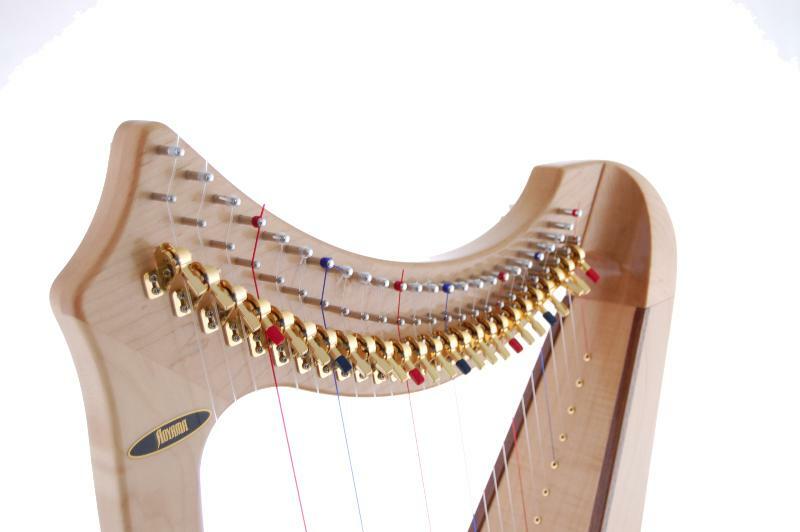 Higher tension strings and wide string spacing make the Saul harp ideal for pedal harpists who need a portable practice harp, as well as anyone who desires a small harp with a full, bright, resonant tone. 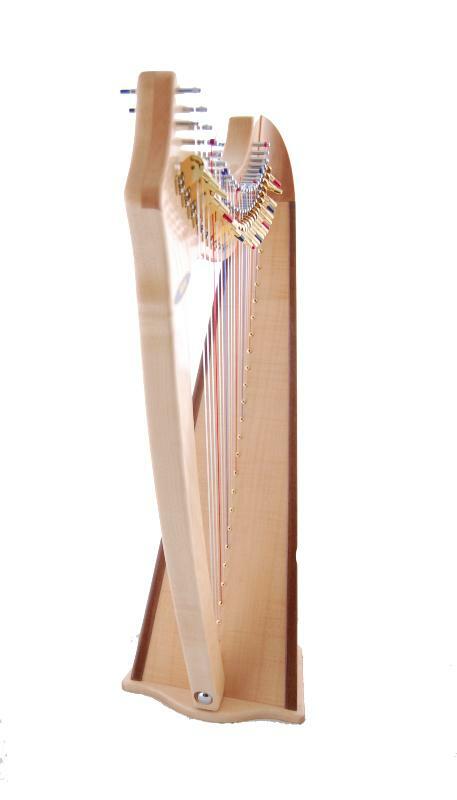 The wide, flat base and light weight allow for a comfortable playing experience. 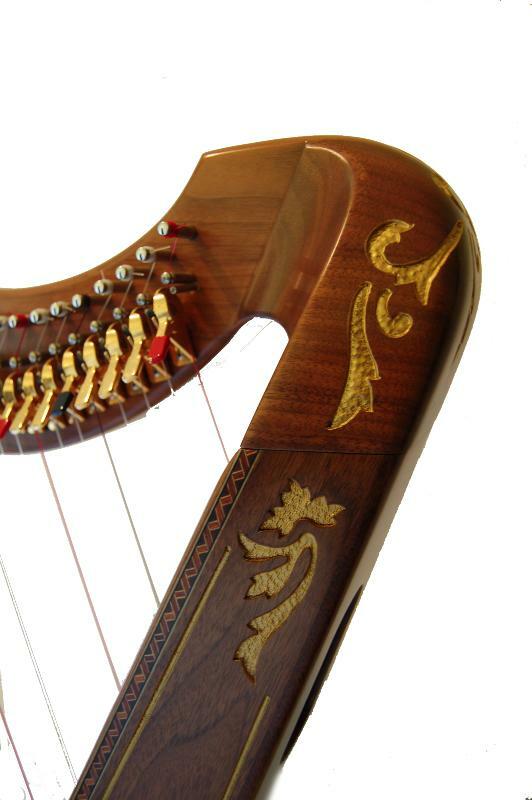 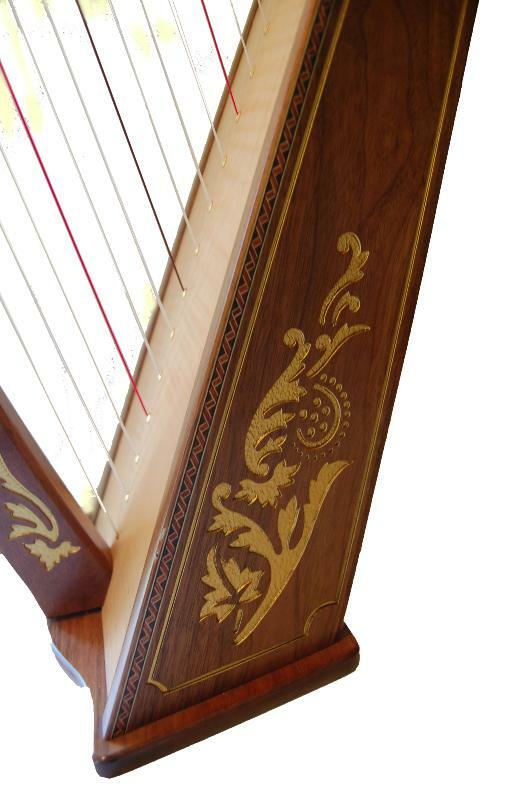 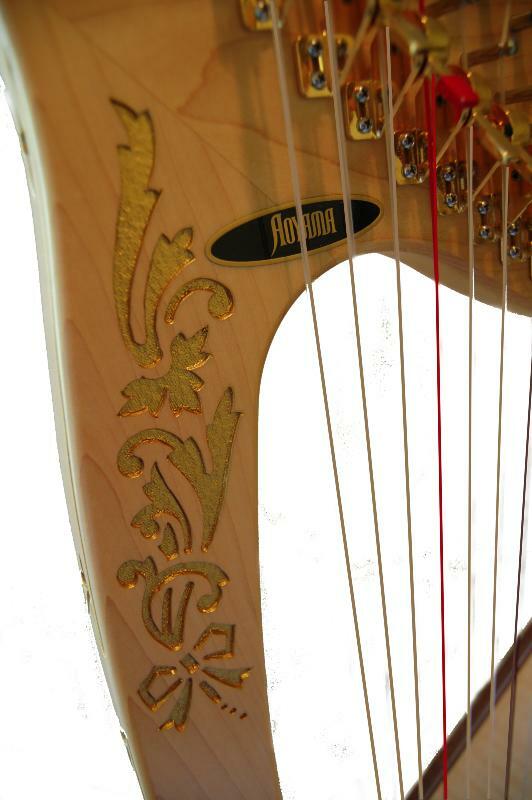 The Saul harp is available either in plain finish or with a carved and gilded decoration. 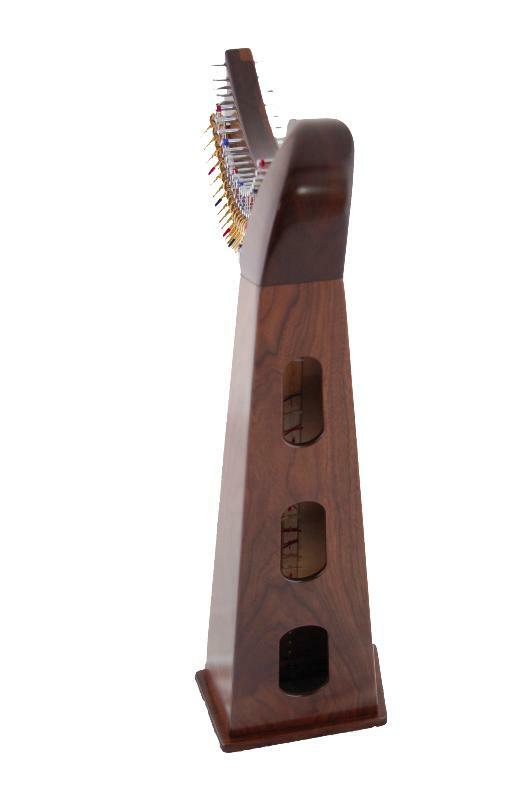 An optional padded carrying case is available. 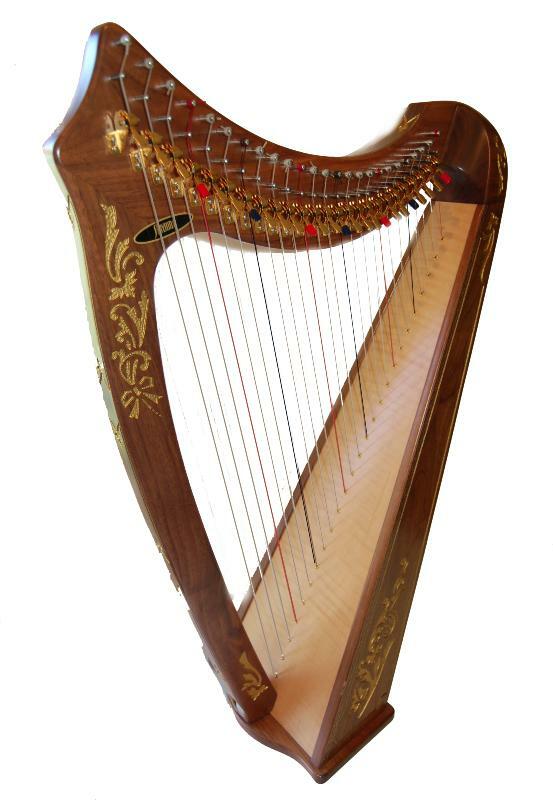 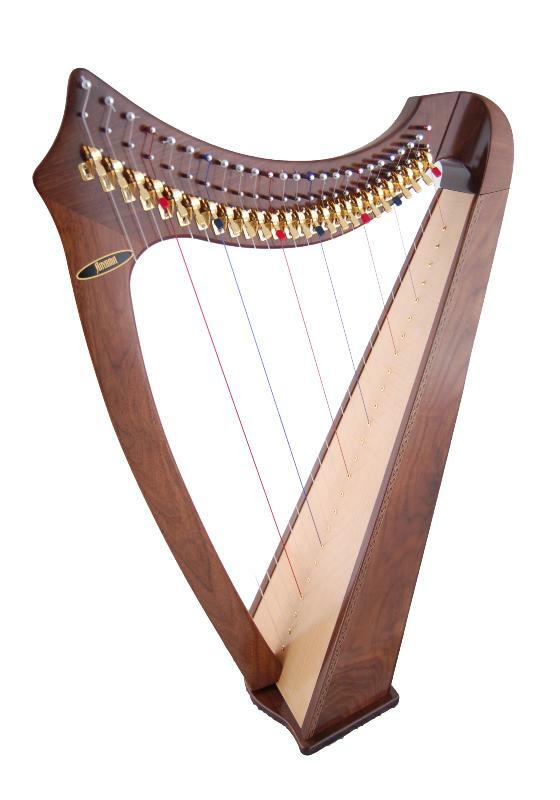 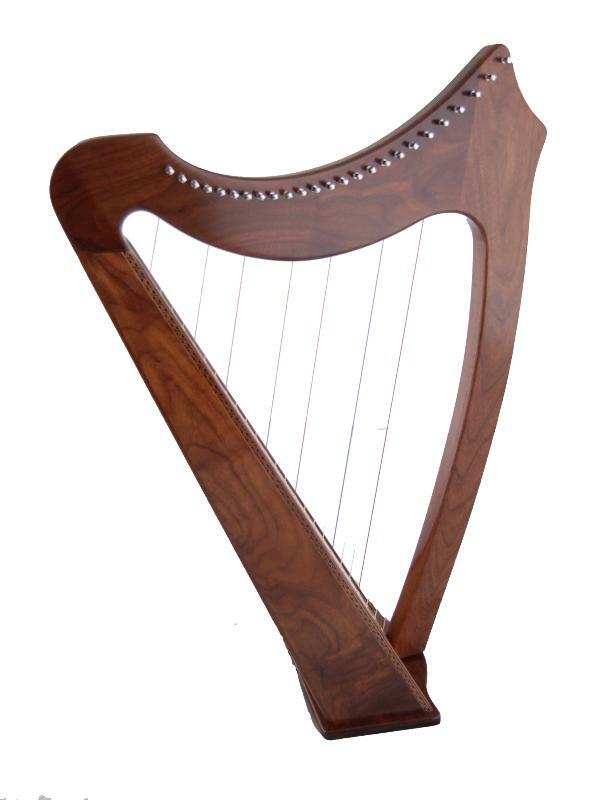 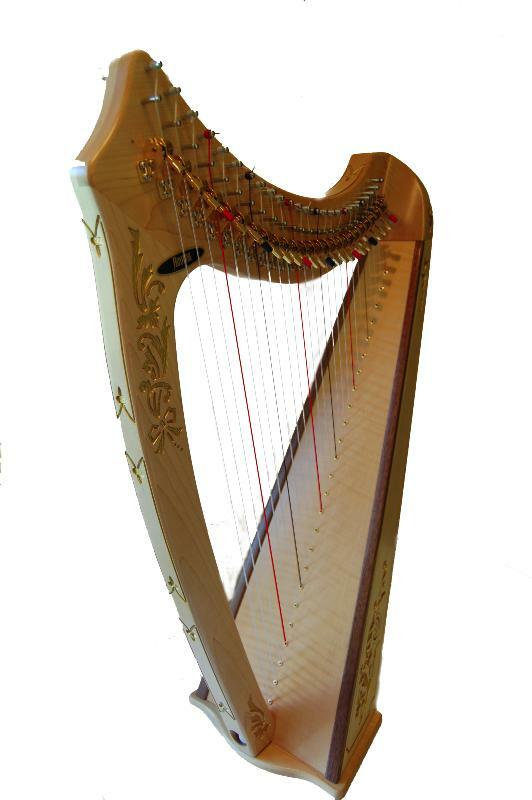 Contact us to enquire about hiring this harp.